The U.S. Supreme Court's ruling that declares states can collect sales tax for online purchases could potentially boost Washington state's bottom line by hundreds of millions of dollars. OLYMPIA — The U.S. Supreme Court’s ruling Thursday that declares states can make retailers collect sales taxes on online purchases could boost Washington state’s bottom line, but the impact might be modest, say state lawmakers in both parties. That’s because Washington lawmakers for years have pushed to expand online sales-tax collections. And in their 2017-19 state operating budget, they made good on that, raising an estimated $432 million through a partial expansion of online sale taxes. The ruling isn’t expected to have a big impact on the state’s budget, said Sen. Christine Rolfes, D-Bainbridge Island and chief Democratic budget writer for the Senate. Legislators and others say it’s unclear how much untaxed online transactions are out there. The long-awaited decision comes after the U.S. Congress dawdled for years on whether to pass a law to require online sales-tax collections. On Thursday, the court ruled that businesses can be required to collect sales taxes even when they don’t have a physical presence, such as a warehouse or office, in the state where the purchase is made. Other questions remain about the ruling, according to Schumacher, like whether it would apply to small online transactions, such as people who infrequently sell items on eBay. Washington, which doesn’t tax personal income or capital gains, depends heavily on sales-tax revenues to help fund government services. In fact, 52 percent of the state’s general-fund revenue — which pays for schools, parks, prisons and social services, among other programs — comes from retail sales and use taxes, according to a 2016 report. 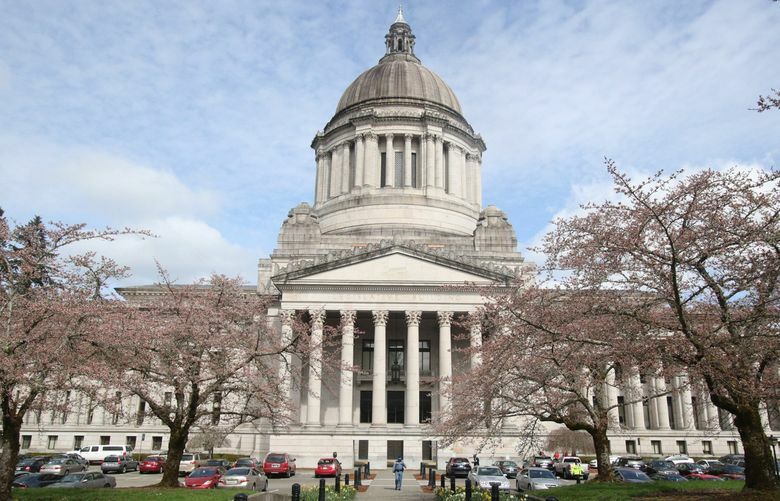 The resulting shift toward online shopping has meant Washington is collecting fewer tax dollars that it otherwise would have been, according to state Sen. Reuven Carlyle, D-Seattle, who in 2015 sponsored legislation to expand online sales tax collection in the state. “If you look at the implosion of big-box stores, if you look at the explosion of online purchasing, these major life-changing market trends … have a profound effect on the state’s tax policy,” said Carlyle. For example, the combined local and state sales tax for Seattle is about 10 percent. So a Seattle resident spending $1,000 online for holiday shopping, rather than visiting city stores, would effectively save $100, said Johnson. “Not fair,” said Johnson, whose association represents storefronts across the state. Combine lost state revenue with lost business for main street retailers, and Thursday’s ruling resulted in “a fair outcome,” said Sen. John Braun, R-Centralia.